This is the cheapest this set has ever been. A smart TV can transform your viewing experience, providing access to streaming services and more without the need for a separate device. 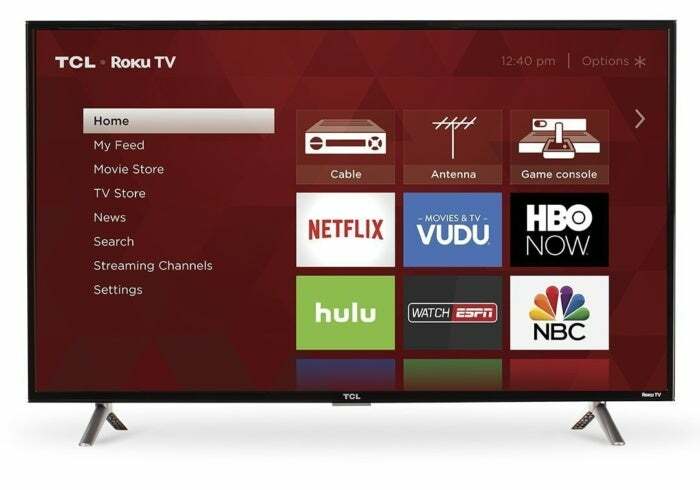 TCL's 40-inch smart TV provides the smarts and usability of a Roku streaming device built-in to the set itself, and right now you can grab one on Amazon for just $200Remove non-product link, down from a list price of $290 and the lowest we've seen it. This TV's strongest feature might be its easy-to-use Roku interface, which lets you navigate between streaming services, antennas, Roku-specific channels, and cable with ease. The bundled remote, which tends to be a user favorite, comes with a few simple buttons to hop around easily. If that remote doesn't quite cut it, though, you can also download the TCL app and control the TV using your smartphone. I personally own this TV, and as both a cord cutter and a TV enthusiast I have no complaints. Its sleek, simple interface is extremely simple to navigate even through a variety of sources, and with Roku built in, I have access to a huge selection of streaming services that I subscribe to. But I'm not the only fan. This TV has 4.1 stars out of 5 over more than 3,550 user reviews on Amazon, with many reviewers pointing to my favorite features—the remote and interface—as reasons to buy. Although it's only 1080p, this is a great deal even at its normal price point, and this huge discount just sweetens the pot. If you're unfamiliar with Roku as an over-the-top service, check out our reviews of the Roku Streaming Stick and the Roku Streaming Stick+, which both earned top spots in our roundup of the best media streamers. In short, it's a great service that's even better when you don't need to attach a dongle.